If only celery juice could do everything its proponents claim it can! We would all be slim and svelte, our psoriasis would dry up, and all of our digestive issues would disappear. And all for the price of a few stalks of celery! Unfortunately, there’s not a lick of science behind this fad. Just the usual chorus of big-name celebrity supporters such as actress Debra Messing and fashion-guru Kim Kardashian. Unfortunately, this “extraordinarily accurate health information” from the spirit realm has been found to be entirely inaccurate – just like his claims about the healing benefits of celery juice. The healing quality of the juice all lies in what he calls “undiscovered cluster salts” which he claims are not as bio-available when they’re consumed in whole celery. It sounds very scientific, but guess what? There’s no such thing as cluster salts. William made it up, and did so in such a convincing way that his 1.4 million Instagram followers are swallowing this stuff by the gallons. 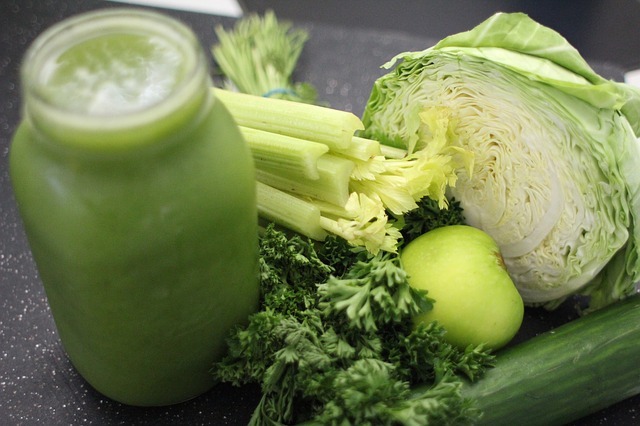 Shonali Soans, a registered dietitian with Lorraine Kearney Nutrition in the Financial District, told CNN that the “celery juice craze” is nothing more than a testament to our desire for quick fixes (and the power of Instagram). In fact, by juicing the celery, one of its most potent benefits – fiber – is being stripped away. Juicing the stalks has another very important drawback – it increases the calories. “A 5-inch stalk has only three calories, so that’s very low-calorie. A cup of chopped celery has only 20 calories,” said Lisa Drayer, a registered dietitian who writes about nutrition for CNN. But when you turn it into a juice, that five-calorie stalk suddenly jumps to 42 calories. “Any time you concentrate a vegetable or a fruit, it’s going to be higher in sugars and carbohydrates and calories,” Drayer said. Thanks to William’s baseless bluster, juicing companies are making a fortune off this stuff. I found a 6.7 oz bottle of organic celery juice on Amazon for $16.79. On the same page, William’s latest book, Liver Rescue, was selling for just $20.99. The only good news in all this is that drinking celery juice won’t harm you. That is, if you don’t consider it harmful to unnecessarily deplete your bank account. What does William say about all this criticism? The same thing all of the New Age gurus say – to heck with scientific proof! All that matters is “experience” and plenty of his followers are sharing theirs on Instagram. Click here for more information on why people think they’re being healed by unscientific products like celery juice. And if you’d like to learn more about how to distinguish between good medicine and quackery, click here.